Located in the foothills of Sonoma Mountain, Flying Cloud’s 33 acres offer a unique alternative for meetings, networking functions, teambuilding events, and company parties. Only minutes from 101 and downtown Petaluma, Flying Cloud is a private facility which allows our guests to enjoy Sonoma County’s inimitable offerings: beautiful views, fabulous wine, a spectacular indoor equestrian center, and food from Sonoma’s renown chefs. Central to our 35,000 sq. ft. facility is our banquet room. Overlooking our private courtyard and the mountains to the west, and our large indoor arena to the east, it provides a tranquil location for meetings. 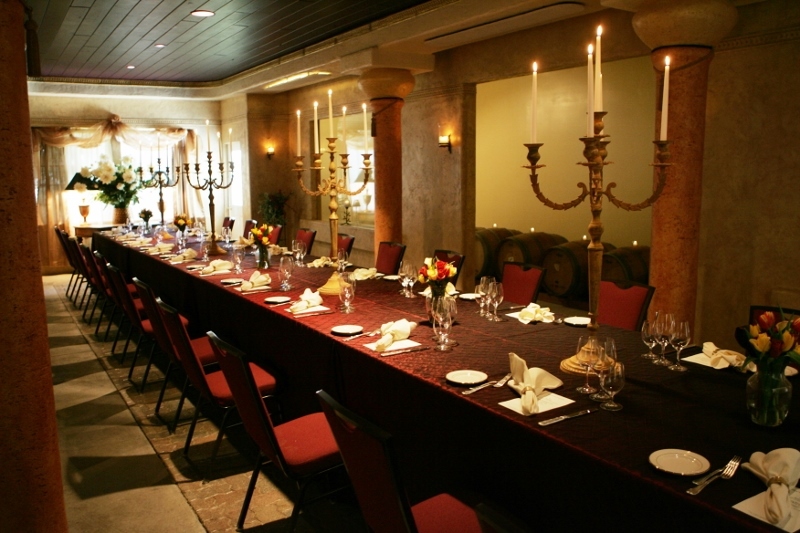 Our adjacent, columned, candle lit barrel room, bar, and mural room add additional space for luncheons, networking parties or dinners. We are a private facility shown by appointment only. Please call or email us to schedule a tour.